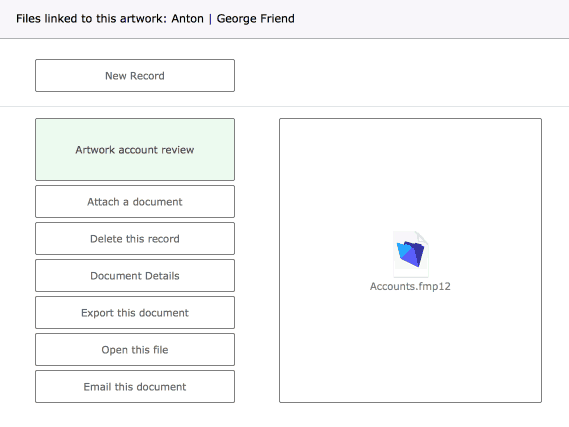 This feature allows you add documents to artwork records. A wide range of documents can be added from word processor documents, PDFs, videos or additional photographs. The Artwork Files field shows the nuber of documents currently attached to the current artwork. Add any number of documents to your artwork. Use the buttons provided to preview details of the document, alter the title of the document or save it to a new location on your Desktop device.